Northern Ireland’s most senior coroner has warned that continuous PSNI delays in fully disclosing material relating to the shooting dead of six unarmed men 30 years ago are seriously jeopardising his ability to deliver inquests into the killing, the Detail has learned. 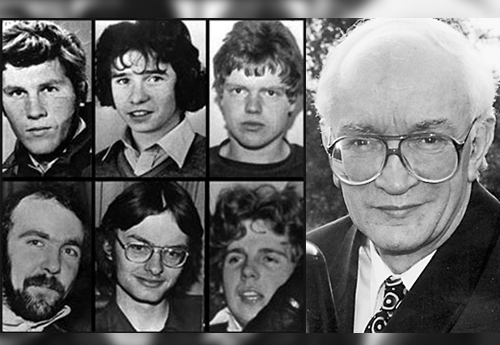 Senior Coroner John Leckey had hoped to open inquests into the deaths of six men shot dead in so-called ‘Shoot to Kill’ incidents early next year. The killings caused controversy after it emerged in court that the RUC officers involved had deliberately lied to cover-up the true circumstances surrounding the shootings. While the inquests officially opened in 2007, protracted legal disputes over the PSNI’s lack of disclosure of evidence to the inquest has seriously impeded progress in the case. Today (Friday) a preliminary hearing was told that the PSNI had finally handed over redacted copies of the original John Stalker investigation into the killings. While this disclosure was welcomed by Senior Coroner John Leckey, the Detail understands that the coroner’s office recently warned that confidence in ability of the PSNI to deliver disclosure is being eroded by the seemingly endless delay in the process. The Detail understands that the coroner’s office warned in recent written correspondence that an “intolerable delay” in the PSNI’s disclosure of material was substantially jeopardising the coroner’s ability to properly conduct inquests. We understand the coroner’s office complained it had been “badly misled” by the PSNI, who had led the coroner to believe that there would be full disclosure of evidence to the court by May 2013. The senior coroner is understood to have rejected PSNI claims that the police service could not provide a proper timescale for the disclosure of evidence and that it was “galling” that the PSNI had not given a satisfactory answer for the delay. The Detail has learned that Mr Leckey expressed his “extreme disappointment” that assurances given by PSNI lawyers at a previous preliminary hearing in March 2012 had not been complied with. In response, the PSNI defended its failure to abide by its previous commitment to have completed full disclosure by May 2013, claiming that it had underestimated the size and complexity of the task and as a consequence the disclosure timeline previously provided to the coroner could not now be complied with. At today’s preliminary hearing the PSNI’s legal counsel, Tony McGleenan QC, said that the level of disclosure of evidence was unprecedented and dwarfed any similar process ever undertaken in Northern Ireland. 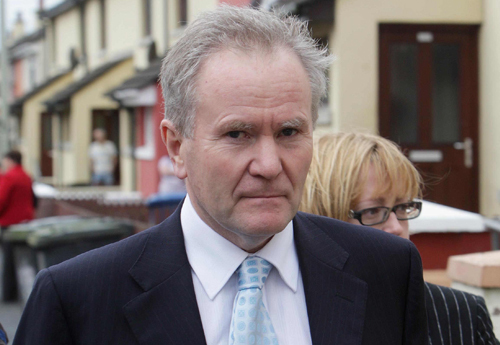 Mr McGleenan confirmed that six volumes of the Stalker report had been disclosed to the court in recent days. The coroner’s counsel, Frank O’Donoghue QC, said that while this was a welcome development, it was still unclear how long it will take the PSNI to disclose future material, some of which will involve the government issuing a Public Interest Immunity (PII) certificate to prevent sensitive intelligence material from being made public. The Detail has previously reported on concerns that the PSNI’s Legacy Unit, who are tasked with deciding what evidence is disclosed to courts, inquests and public inquiries, is made up of former police officers, including four former Special Branch officers and a former member of RUC intelligence. The Detail has previously revealed how Chief Constable Matt Baggott had refused Mr Leckey’s request for information regarding the former Special Branch officers’ previous roles within the PSNI and RUC. Read here. Today’s preliminary hearing was told that four out of six personnel in the unit are former members of Special Branch or RUC intelligence, with 57 years experience. In what was alleged to be as a clear conflict of interest, the coroner was told that they had served directly with 92 serving and former police officers who could potentially be called as witnesses at the ‘Shoot to Kill’ inquest. Legal counsel for the Grew and Carroll families, Fiona Doherty QC, instructed by KRW solicitors, described at the hearing today the overlap between the former Special Branch officers and the potential witnesses as “stark and shocking”. Ms Doherty said that the continued delays in full disclosure added to the public belief of a perception of bias in the case. High Court proceedings have already been lodged by the family of PIRA man Pearce Jordan challenging the Chief Constable’s decision to recruit the former Special Branch officers to oversee the evidence disclosure process. The Jordan case will centre on the allegation that members of the PSNI’s Legacy Unit failed to disclose to the Jordan inquest that a number of the officers involved in the shooting had previously been involved in a number of the `Shoot to Kill’ incidents. Fearghal Shiels of Madden & Finucane, who represent the next of kin of Gervaise McKerr, Eugene Toman and Sean Burns, said the involvement of the former officers seriously compromised the integrity and independence of the inquests. Solicitor Niall Murphy, who represents the Grew and Carroll families, said it was abhorrent to expect the ‘Shoot to Kill’ families to accept the independence of former Special Branch officers with close ties to many of the policemen involved in the police operations which resulted in the deaths of their loved ones. “It is totally and utterly callous and unacceptable to allow former Special Branch officers, who have worked side by side with no less than 92 of the potential police witnesses in this case, to decide what intelligence is withheld from this inquest. “The entire independence and integrity of our legal system is being put on trial by this incredulous act. “No other police force in the world would be allowed to investigate itself, but these families are being asked to believe that former police officers are going to allow evidence, which could implicate their former associates in murder, to be put before the court. In 1984 RUC constable John Robinson was acquitted of the fatal killing of Seamus Grew. Following today’s hearing a spokesman for the Grew family expressed disappointment at the PSNI’s failure to fully disclose all material six years in to the inquest process. They said: “Seamus’ father Pat was buried this month at the age of 89. He passed without having heard the inquest into his son’s murder. Seamus’ wife Maureen has also passed away without hearing the truth as to the circumstances of her husband’s murder.